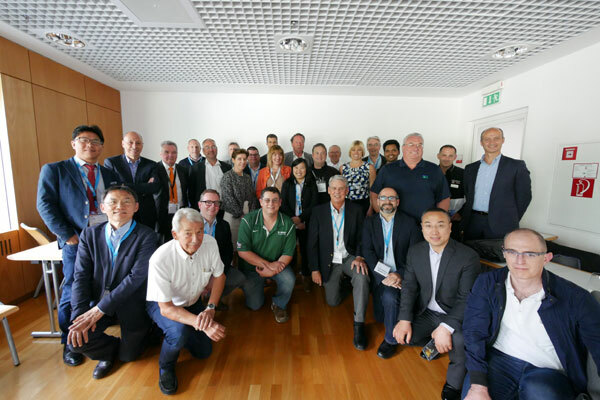 On May 15th, 2018, the Waterjet Technology Association (WJTA) and the Belgium/Netherlands/Luxembourg (Benelux) based Stichting Industriele Reiniging (SIR) co-facilitated a meeting between various global safety organizations and asset owners. Held in Munich Germany at IFAT, the world's leading trade fair for water, sewage, waste and raw materials management, the WJTA and SIR presented a compelling case for the development of a basic global waterjetting safety guidance. Led by Kerry Siggins, CEO of StoneAge and Vice President of the WJTA and Lejo Bekker, former owner of Bekker LaGram and Chairman of SIR, attendees from around the world engaged in a productive and collaborative discussion regarding the development and implementation of basic global safety standards to promote, educate, and ultimately require safe water jetting practices. Also representing WJTA were Bill Gaff, VP of Sales and Marketing at Vacuum Truck Rentals and WJTA’s Chairman; Gary Noto, COO of HydroChemPSC and Secretary of the WJTA; Alan Smith, Contractor Safety Specialist for BASF and WJTA board member; and Peter Wright, WJTA’s association manager. Also representing SIR were Hans Buitendijk, Owner of Antecho and Vice President/Public Relations of SIR; Jürgen Matthyns, Owner of HCI and board member of SIR/HP Techniques; and Hans Borgt, Technical Associate Industrial Cleaning at Dow Chemical and board member of SIR/Chemical Cleaning. 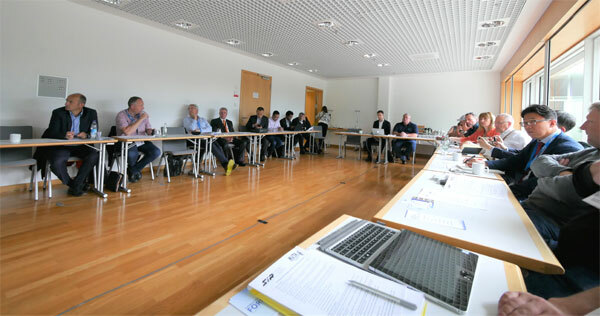 Safety organizations represented at the meeting included the WJTA (USA), SIR (Benelux), WJA (UK), S3C (France), EWJI (EU wide), VDMA (Germany), DFIV (Germany), ALTAP (Spain), AusJet (Australia), ICAC (China), and KWJA (Korea). Asset owners represented included Dow (USA, Netherlands), BASF (USA, Germany, Belgium), Total (France), Dupont (Belgium), Vynova (Germany), and Wacker (Germany). The below primary fundamental principles of safe water jetting operations were discussed in detail and all attendees gave feedback and agreed that these are the foundation of basic global standards. The next step is for the WJTA and SIR to expand this document to include more details and specific requirements then redistribute to the attendees for comments. It is expected that later this year the WJTA and SIR will form a Global Hydroblasting Standards committee and ask safety organizations and asset owners to volunteer members from their organization to help further develop and implement these standards. There is a joint responsibility for setting up guidelines for working safely between asset owners, manufacturers/suppliers of equipment, and industrial cleaning contractors. The guidelines are subdivided into three areas: Methods (how the work is performed), Means (proper use of equipment, tooling, and technology), and People (personal responsibility, safety awareness and commitment, and training). Those who carry out the work and those who supervise the work being done are educated and trained according to defined methods. Ongoing and repeated training is required. New developments in safe working practice are followed and sharing knowledge is encouraged. When incidents happen, the appropriate parties are notified; they are discussed transparently and guidelines are amended if necessary. The activities are carried out using the safest and least physically arduous working method possible. Every method has specific tasks, responsibilities and precautionary measures. The goal is to keep everyone safe and out of the line of fire. Manufacturing/assembly requirements have been defined for high-pressure equipment. This includes setting reference values for the pressures, lengths and reaction, etc. Hans Buitendijk at +32 475.141808 or at Hans.Buitendijk@antecho.be. The WaterJet Technology Association (WJTA) is a global trade association made up of contractors, asset owners, manufacturers, researchers, academicians, and other stakeholders with an active interest in high pressure waterjetting, industrial vacuuming and high-pressure cleaning, and related service lines. Formed in 1983 to serve the rapidly evolving technology of high and ultra-high pressure waterjetting in its many applications, WJTA promotes safety, provides a means of industry communications, fosters trade, and facilitates the development and science of high pressure waterjet and vacuuming technology. The Stichting Industriele Reiniging (Foundation of Industrial Cleaning) is an association for asset owners, cleaning contractors, equipment manufacturers & suppliers, training and manpower companies in the Benelux countries and far beyond. Our members have an active and important interest in SAFETY rules for the industrial cleaning activities. Our sphere of interest comprises the high pressure and ultra high-pressure cleaning, vacuum cleaning, chemical cleaning and respiration protection. SIR was founded in 1989 and has more than 275 members. Our main objective is to develop and promote safe working methods for the industrial cleaning industry. Each year SIR takes approximately 3000 exams in the various disciplines, there are more than 9000 valid SIR certificate holders. The SIR is worldwide considered as the leading non-profit organization for safe working in the cleaning industry. SIR promotes actively her persuasion that the safety rules which have been developed by and for our members are made available for all industrial cleaning workers all over the world.